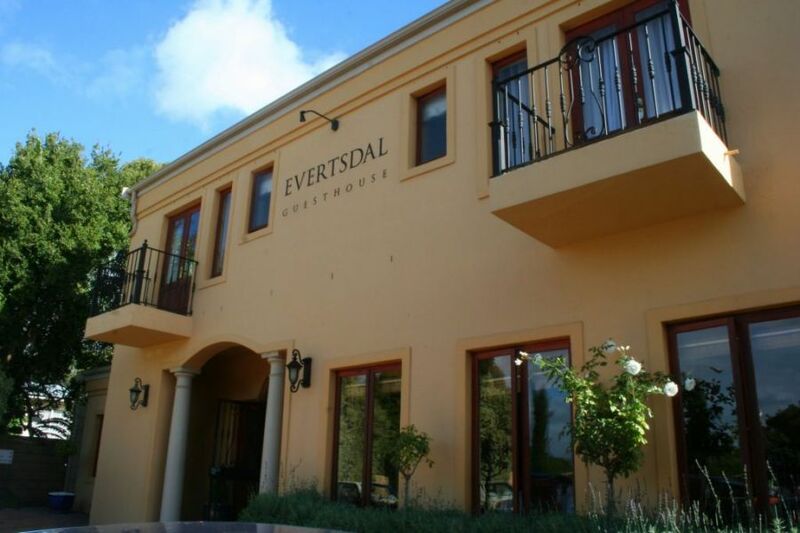 The Evertsdal Guesthouse was established in 2002 by Janet du Plessis. Evertsdal is situated in the residential suburb of Eversdal. The name is derived from the old farm which was called “Evertsdal”. 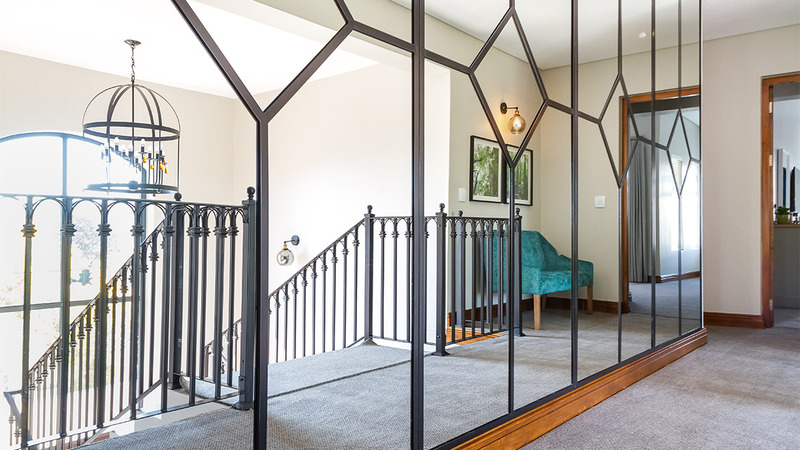 We have thirty two beautifully decorated bedrooms all with en-suite bathrooms and views of the gardens or access to one of the pools. 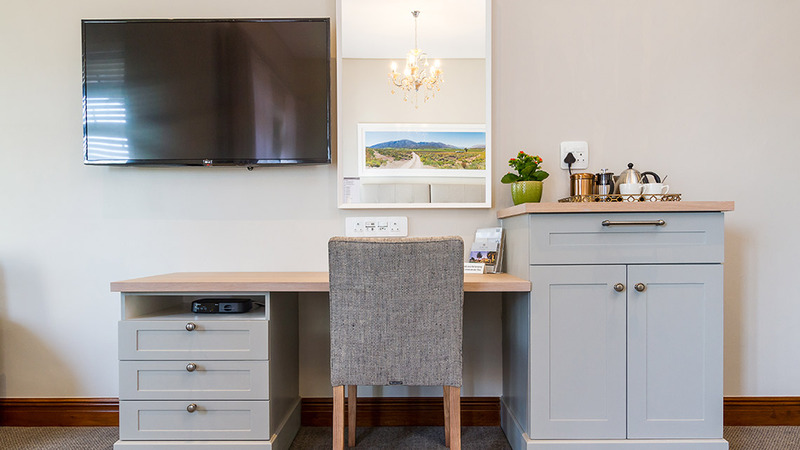 Each room has a fully stocked mini bar, as well as tea & coffee making facilities. All rooms have DSTV and Wifi. We offer four meeting venues for up to 24 delegates. Our stylish boardroom is perfect for smaller groups. Our conference package includes three tea/coffee breaks and a two course lunch. All the standard equipment is included in the daily delegate rate. Free Wifi is available for conference clients. 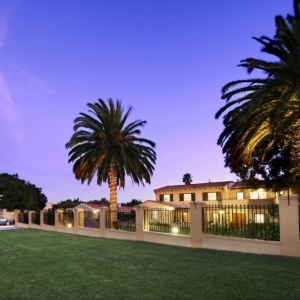 All venues lead onto gorgeous gardens and pool areas which are perfect for relaxing between sessions and for breakaway groups. 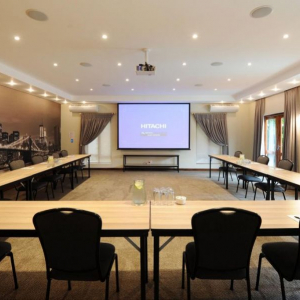 Our two larger venues are ideal for executive strategy sessions and conferences. Various seating arrangements can be accommodated. A full English breakfast is served daily in our dining room. The buffet table offers a variety of cereals, fruit, yoghurt, cold meats, cheeses and a daily bake. Delicious filter coffee is the order of the day. Our coffee is sourced from The Columbus Coffee Company. The owner roasts and grinds his own coffee beans right here in the valley. Conference tea and lunchtimes are a very important part of the day at Evertsdal. Our buttermilk scones are legendary. The home-style lunch menu is carefully selected, and new recipes are always being tried and tested. It has been said that we have the best homemade chicken pie in the area! 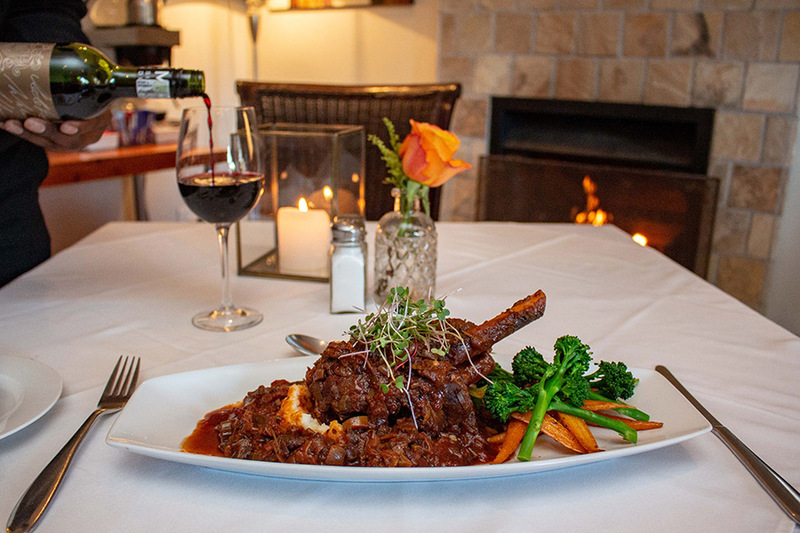 Dinner is served on request and can be enjoyed in the dining room or served room service. Our property is spread over one hectare. 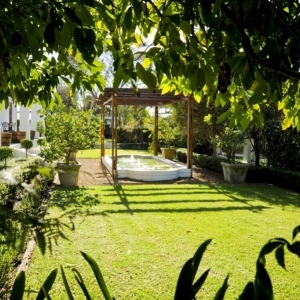 We pride ourselves in our well-manicured gardens where a quiet spot can easily be found to relax in. We are continuously improving and planting in our well established gardens, endeavouring to create something magical. The trickling fountains provide for a calm and tranquil atmosphere. Evertsdal is the perfect venue for intimate summer weddings of up to 35 guests. Our gardens provide a beautiful backdrop for the special day! Brides and bridesmaids are welcome here at Evertsdal. The spacious bedrooms are just right for the fussing of all those who arrive to transform you into a fairy princess. Photographers just love our venue because the options for beautiful photography are endless. Our main clients are business travellers who are looking for a comfortable and convenient environment to spend their night away from home. Evertsdal is the perfect place. 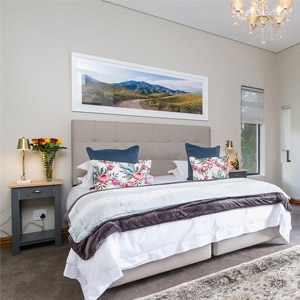 During weekends and holidays, many families have made Evertsdal their accommodation of choice in the Northern suburbs. Our spacious grounds and three swimming pools provide a great environment for children. The management team will make sure that your stay is enjoyable and meets up to your expectations. 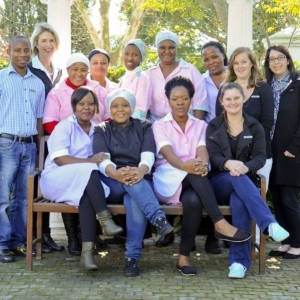 The support staff assigned to housekeeping, catering and gardens all form a vital part of this well-oiled machine. We all work closely together in a combined effort to produce the best possible product and service for you, our guest. 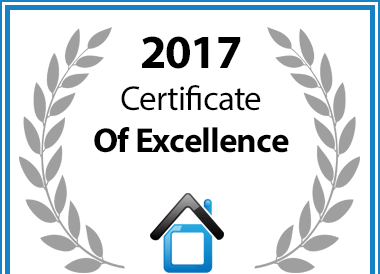 In recognition of exceptional service Evertsdal Guesthouse is hereby awarded a Certificate of Excellence. Stylish comfort, ideal location and warm hospitality!